BUDAPEST, Hungary (AP) — The leader of the main center-right group in the European Parliament met Tuesday with Hungary's prime minister, but said the talks had not resolved the issues that could lead to the expulsion of Hungary's Fidesz party from the bloc. 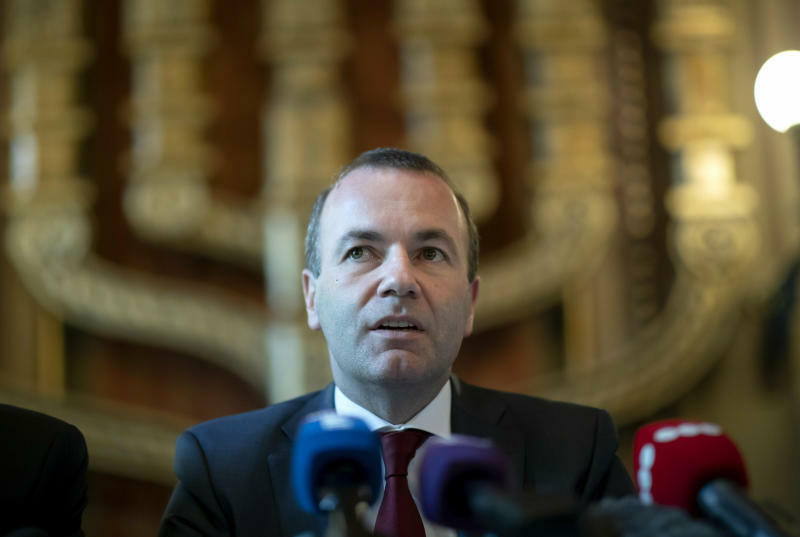 Manfred Weber, leader of the European People's Party faction, said that while the meeting with Prime Minister Viktor Orban had a "constructive atmosphere," the EPP will still discuss Fidesz's status in the group. "We still have a lot to do" before March 20, when the EPP is expected to make a decision about the suspension or ouster of Fidesz, Weber said. He said the Hungarian government's decision to end an advertising campaign criticizing the European Union's migration policies was "a first, small positive signal," but reiterated his call for Orban to apologize for the campaign and "for the burden and for the problems he was creating" for the EPP. "To show the readiness to apologize, to say simply 'Sorry, I was not on the right way,' would be a good step also," said Weber, who is also the EPP candidate to succeed European Commission President Jean-Claude Juncker after May's EU parliament elections. Weber said that the talks also discussed the EU proceedings against Hungary launched last year over a perceived attack on the rule of law and democratic values by the Orban government. They could lead to Hungary losing its EU voting powers. "What we want to guarantee is that Fidesz is committed to the EPP values and Hungary ... sticks to the European values," Weber said. Gergely Gulyas, Orban's chief of staff, said that the intention of both Orban and Weber is for Fidesz to remain in the EPP, adding that Orban us ready to apologize for calling his EPP critics "useful idiots" whose denunciations of Fidesz he said strengthened the group's European opponents. During his trip to Budapest the German politician also met with Michael Ignatieff, the president and rector of Central European University, and initiated a meeting with leaders of the Federation of Hungarian Jewish Communities. Beside ending the anti-EU campaign and apologizing for it, Weber earlier set a third condition for Orban's Fidesz to stay in the EPP — allowing the university, founded by U.S.-Hungarian billionaire George Soros, to continue its programs in Budapest that issue diplomas accredited in the United States. The university will move its U.S. programs — the bulk of its activities — to Vienna from the upcoming academic year because the Hungarian government has refused to sign an agreement allowing it to enroll students for those programs in Hungary. 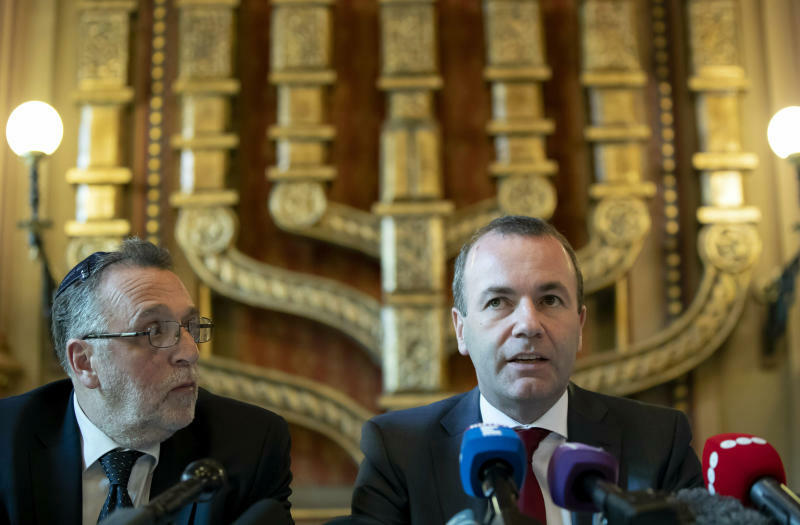 After his meeting with Jewish leaders, Weber highlighted the need to ensure religious freedoms in the EU.